BIRD BRAIN is a multi-year navigational dance touring project that follows the migratory pathways of birds and gray whales on their journeys across the north and south hemispheres. The project investigates the navigational habits of these animals and their biophysical and metaphorical relationship to us as fellow travelers in the world. The project began with THE PIGEON PROJECT and continues with four discrete but related migration-based tours that constantly shift from urban to wild to transitional landscapes. BIRD BRAIN integrates dance with migration science, education, conservation and community involvement. The current phase of BIRD BRAIN is Flight of Mind, which is the distillation of the three migratory tours into a theatrical performance. BIRD BRAIN links the dance and conservation communities, forging new connections between science and art, and revealing the overlap between nature and culture. BIRD BRAIN aims to have significant impact on each site we visit, illuminating the importance of sustaining and preserving habitat for migratory species, and deepening our dynamic relationship with nature through the kinetic medium of dance. By literally following the migratory routes of the animals, BIRD BRAIN weaves together a community across continents, ecosystems and cultures. The BIRD BRAIN tours bring free, outdoor dance events into diverse public settings along each specific migratory flyway. Participants in parks, urban streets, nature sanctuaries, and arts centers experience live performance inspired by the physical spaces of each location, informed by scientific data about bird migration, and shaped by the artists’ investigation of navigation. 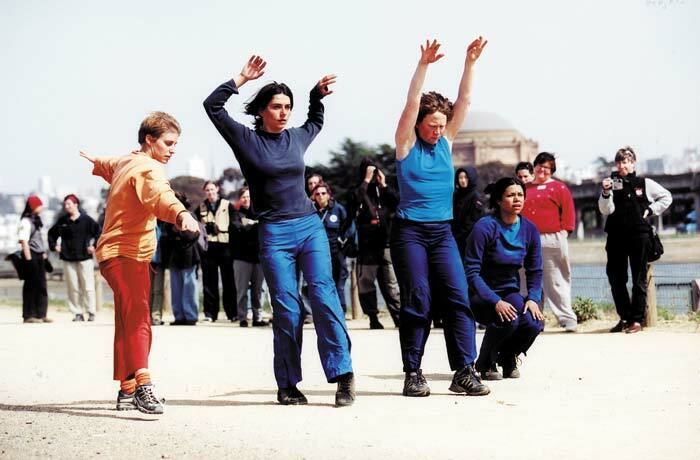 BIRD BRAIN makes experimental dance accessible to people not otherwise likely to come into contact with it and uses dance to invigorate grass-roots conservation efforts. a web site that tracks the migrating birds and dancers.